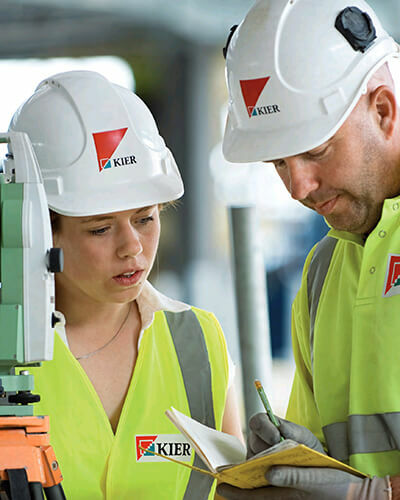 The Kier Group is working to change outdated preconceptions about construction. Courtesy Kier. England needs to build a staggering four million homes in order to mitigate its housing crisis. But who will build them? As the UK’s housing shortfall reaches an all-time high, the country is facing an overwhelming skilled-labor shortage in construction. The industry is losing approximately 140,000 workers yearly; it needs roughly 400,000 new recruits annually to see any real relief. Brexit could exacerbate the shortage by limiting EU workers; meanwhile, the UK’s baby boomers are retiring and many millennials have no interest in joining the industry. Construction is facing an image crisis that’s making it difficult to attract new talent. In response, Kier Group, the UK’s second-largest construction company, issued a research report about the image and recruitment crisis, stating its mission in no uncertain terms: “Modernise or Die.” Kier wants to change outdated perceptions of construction jobs and promote elements of the work that appeal to younger generations, such as advanced technologies. Kier performs educational outreach on the jobsite. Courtesy Kier. One way Kier hopes to bridge the labor gap is through its Shaping Your World campaign, which includes pledging one percent of its workforce to act as ambassadors at schools, colleges, and universities to speak with students about career opportunities, highlighting the ways construction has evolved. The company’s apprenticeship program, which is open to anyone age 16 and older, aligns with a UK government initiative to fund an additional three million apprenticeships by 2020. Demonstrating traditional job skills. Courtesy Kier. 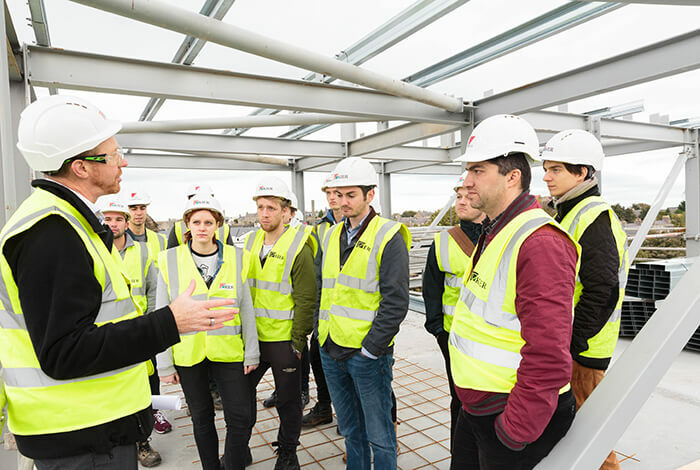 Kier’s outreach doesn’t end in the classroom: The company installed scannable Virtual World Plaques at flagship project sites that let the public access site history, case studies, job information, and project stories with their smartphones. Virtual World Plaques log 10,000 unique visits every month; a companion Virtual Interactive Built Environment (VIBE) website offers a downloadable career guide for the construction-curious. The construction industry increasingly relies on new technologies such as augmented and virtual reality, drones, and artificial intelligence. Yet according to research from the City & Guilds Group, 54 percent of construction companies are impacted by skills shortages; falling behind on technology translates to lower productivity and profits. While keeping up with these advances has at times been challenging for industry veterans, tech is helping change both industry culture and tired stereotypes. A student in Kier’s apprentice program. Courtesy Kier. Advanced technologies like robots and 3D-modeling capabilities have a great “wow” factor, but they’re also making many established jobs easier—Kier reskills employees through apprenticeships, internships, and management programs—and opening up new career possibilities within the industry. 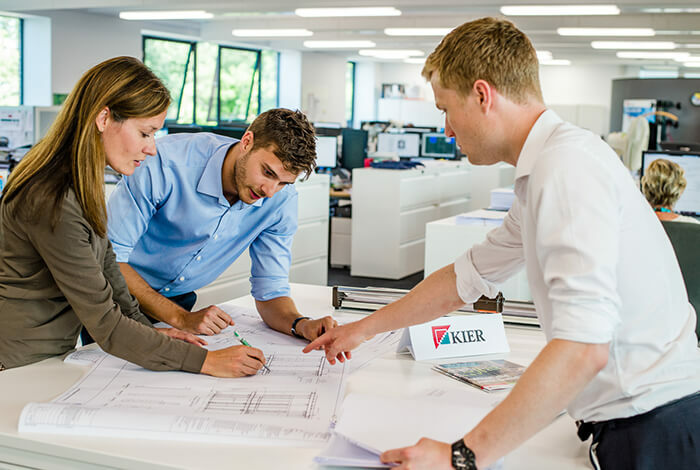 Kier wants to cultivate a work culture that appeals to women. Courtesy Kier. Learn ways to engage and connect when building your design team. For houses to exist, there needs to be an industry of designers, engineers, and builders to design, engineer, and build them. And the industry needs people. 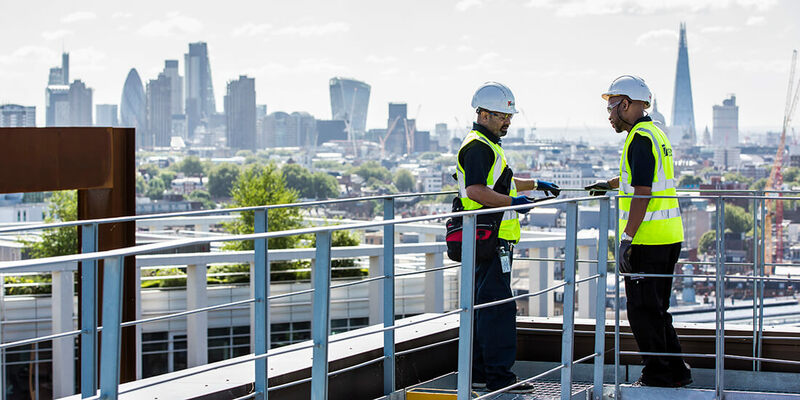 Proactive initiatives like the Kier Group’s one-percent pledge can heighten awareness about the root causes of these issues and work toward solving them. If leaders in the field follow suit by reaching out to schools and communities, these efforts could bridge the gap and attract more young, skilled laborers into construction. Yes, construction may involve heavy lifting and physical labor. But there are so many opportunities to work on the engineering and design side of things—working with BIM technology to help build the infrastructure so desperately needed. The industry is diversifying; technology is changing the face of construction, and with help from industry leaders, these changes are being brought into the light.